In which they’re set, and where they’re moved around. Hither or thither at all- as shown before. A book on the rediscovery of the ancient Epicurean poem “On the Nature of Things” by Lucretius has recently been published. “The Swerve: how the world became modern” by Stephen Greenblatt looks quite interesting. 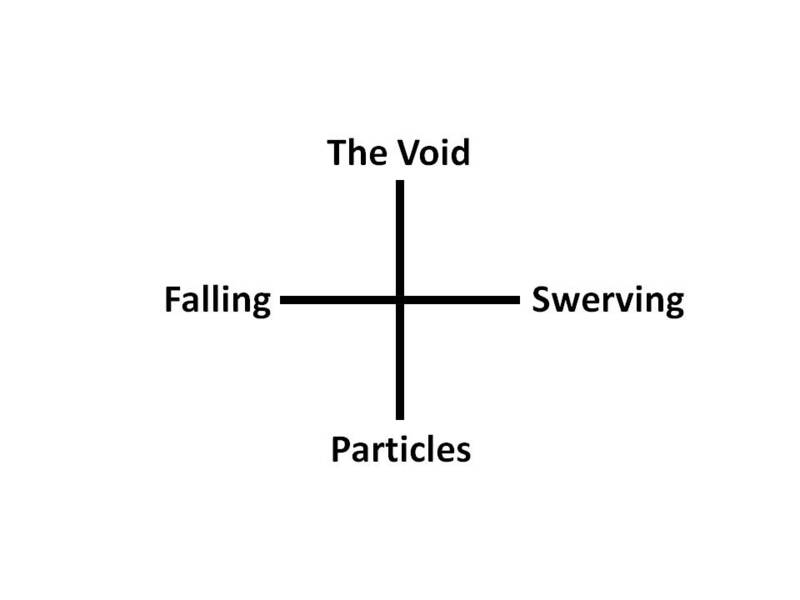 The fourfold above was inspired by the previous fourfold Spacetime. A very nice NPR review can be found below. This entry was posted on October 10, 2011 at 9:33 PM and is filed under fourfolds, Metaphysics, Philosophy. You can follow any responses to this entry through the RSS 2.0 feed. You can leave a response, or trackback from your own site.